Having served in the armed forces, Jim spent 10 years in the offshore oil and gas industry. For the past 15 years he has been employed in the Scottish Parliament, where he is a political and policy adviser. He was instrumental in founding the Cross Party Group on Japan in Holyrood. His work in promoting the relationship between Scotland and Japan for more than 25 years has seen him win several awards including the Consul General of Japan’s Certificate of Commendation and the prestigious Scottish Samurai Shogun Award. 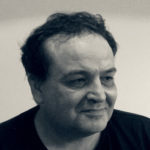 Jim is the architect of the Glover project that reflects his continued interest in promoting trade, education and cultural links between the two countries. 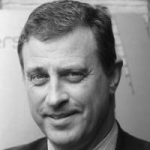 Graham is an experienced SME corporate financier, investor, dealmaker and business developer. Following a distinguished banking career where he was ultimately Head of Business Development for RBS Commercial in Edinburgh, he now has a diverse portfolio of business interests. He is renowned for being innovative and an outstanding networker with a substantial array of trusted business contacts. It was through these contacts that Graham effected the necessary introductions that resulted in the birth of TBG & Co and The Glover project. 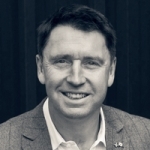 David Moore returned to Scotland in 2013 after 13 years in Asia Pacific in the drinks industry with Diageo plc. During that time he lived and worked in Sydney, Singapore, Saigon and Shanghai. He led the Diageo Asia Beer business, working on key Guinness projects in Japan, followed by roles as MD of Singapore, Malaysia, Indonesia and Vietnam, all of which are strong emerging markets for blended and single malt scotch whisky. He now has a range of business interests in the technology and food & drink sectors. 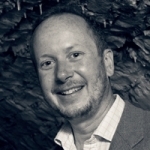 Alex Bruce is Managing Director of Adelphi Distillery Ltd and the Ardnamurchan Distillery. He has been involved in the Wine & Spirits Industry since 1996, heading up Adelphi since 2004. He is a direct descendant of Andrew Usher, who is credited with producing the first blended Scotch whisky in the 1850s, Ushers OVG. He is a Keeper of the Quaich, a member of the Worshipful Company of Distillers, and an honorary member of the Whisky Guild of New Zealand. He also sits on the board of directors for Scotland Food and Drink. 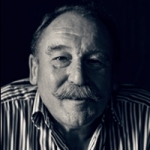 Charles has been described as “Scotland’s leading whisky expert” [The Times], and “The doyen of whisky writers” [BBC]: he has been researching and writing about whisky since 1981 and has published over a dozen books on the subject. He was trained in “the sensory evaluation of potable spirits” by the Scotch Whisky Research Institute in 1992, is a member of the Judging Panel (Spirits) of the International Wines & Spirits Competition and won its award for “Outstanding Contribution to Scotch Whisky” in 2012. He acts as a consultant to the whisky industry on a number of matters, including staff training, sensory evaluation and extensive brand ambassadorial work in global markets.